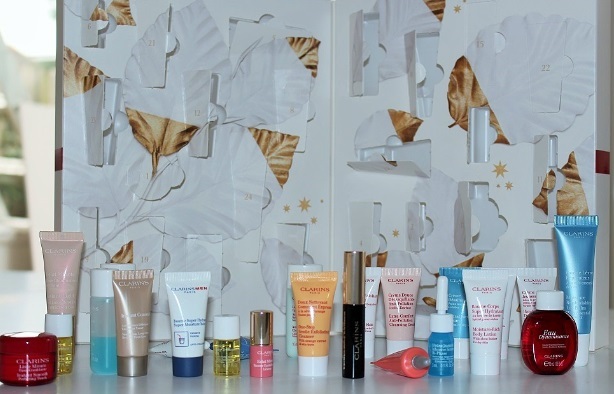 With Christmas fast approaching, are you with me when I say the biggest dilemma right now is choosing which beauty advent calendar to purchase?! I want them all!! However I need to be good and choose wisely. There are so many amazing one being released from the likes of Charlotte Tilbury and Liberty, and those that contain high end luxury miniatures. If you want one, you’ll need to be quick as my guess is that these will sell out pretty quickly. Here’s the lowdown of some of the best ones available here in the UK. This makeup book contains 12 indulgent gifts, some of which are full size and the others are deluxe travel size. There’s a mixture of makeup – lipsticks, eye pencil and eye shadow, as well as moisturisers and skin care. It also includes the not yet released Magic Night Cream. £150 is rather steep and I’m currently in two minds as to whether I will splash out on this. If it was more than 12 items, I’d be able to justify it no problem. 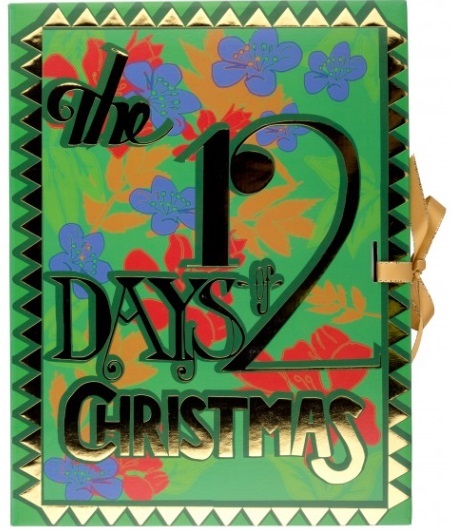 This calendar contains 25 items and has a total value of £148. It contains 6 full sized items. There is a mixture of eye pencils, eye shadow, mascara, eye lash curlers, nail polish, moisturisers and facial polish. 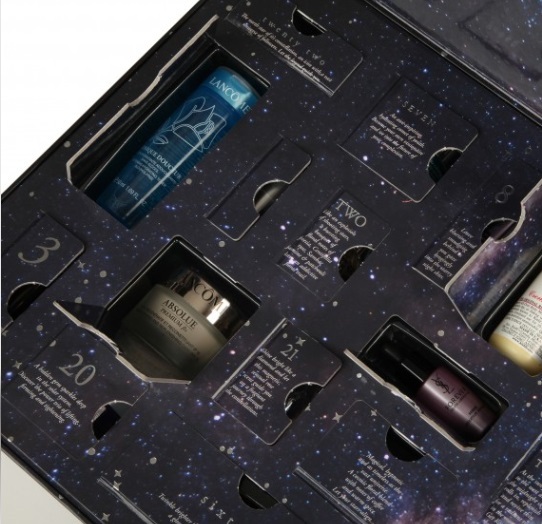 Currently if you spend £60 at Clarins, you get 3 free gifts and free shipping. Bargain! 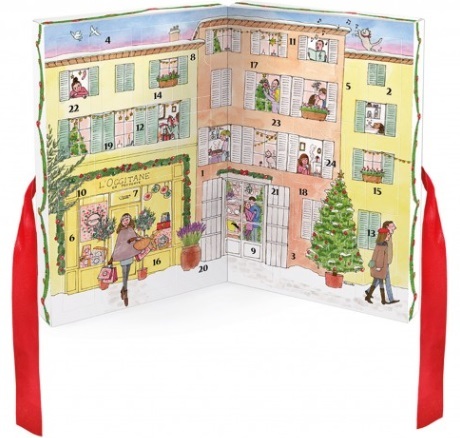 This calendar contains 24 items and gives you the opportunity to discover Clarins best selling and iconic products. Cleanse, moisture and illuminate is the theme of this calendar and contains the iconic Flash Balm as well as body scrubs, moisturisers and make up. There’s also a couple of products for men, so you can share the love with your other half. Shape, paint and decorate is the theme to the mini mani calendar. Containing 24 items, the set comprises of seventeen mini paint pot polishes, three mini nail treatments, two decorative nail toppers perfect for Christmas parties and a mini crystal nail file. On one special day, you’ll even reveal a full size paint pot in an exclusive shade. 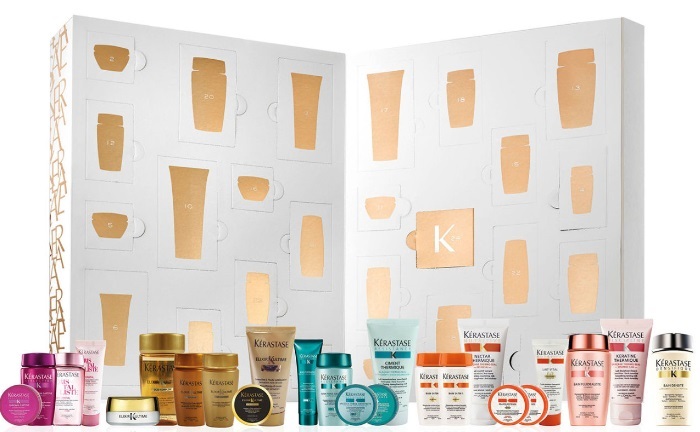 I am addicted to hair products and Kerastase is one of my favourite brands. Therefore this ranks pretty highly in the one that I’ll finally purchase. It contains 25 items, in either travel, mini or full size. It’s a great way of trying out all the different types of shampoo and conditioners to see which one suits you best as full sized items cost in the region of £18. The contents of this calendar are valued at over £400. 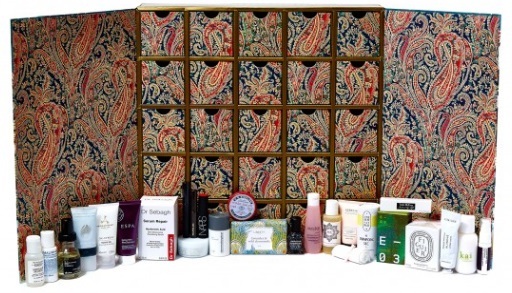 Containing 25 items, the brands include Diptyque candles, REN, ESPA, Decleor, Kiehl’s, Eve Lom and Omorovicza. It’s predominantly skincare items. L’Occitane have upped their game from last year and instead of showcasing 12 items, they have increased this up to 24 mini versions of their luxurious skincare, hair and body products. 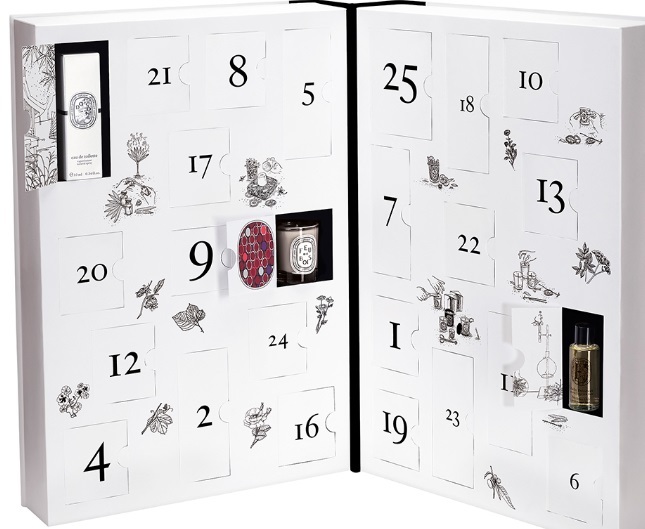 This calendar contains 24 mini surprises from brands such as YSL, Lancome, Urban Decay and Viktor and Rolf. It also includes a few fragrances as well as skincare and make up. This is probably THE most luxurious calendar out there. It contains 25 items. 16 of them are candles, 7 are fragrances and the other two are bodycare. If the price tag is way out of your budget and you want to sample their candles (which smell amazing and look gorgeous on your bedside table), then I would suggest opting for the Liberty calendar which contains one candle. Containing 12 items, this calendar contains a mixture of shower gels, lotions, bath bombs and bubble bars from the Christmas range. It includes the Dashin Santa bath bomb as well as Cinders, Yog Nog and Snow Angel. A perfect way to make the Winter nights a pampering, indulgent experience. I was quite surprised to find out that Yankee Candle had released a calendar. Their candles are divine! There are 25 days in which each reveal either a tea light or votive in one of 8 seasonal scents. Fragrances included are Bundle Up, Candy Cane Lane, Icicles, Spiced Orange, Snowflake Cookie and Winter Glow Tealights, as well as a Berry Trifle, Bundle Up, Cosy By the Fire and Winter Glow Votives. 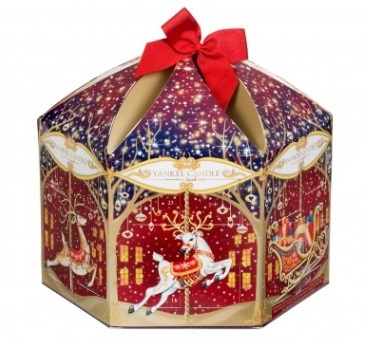 So with so many exciting options, I’d love to hear which advent calendar you’ve decided to go for and why. Please post your comments below. There’s also calendars being released by Tanya Burr – currently on sale in Superdrug (£25 reduced to £15) and Look Fantastic – £70. The contents of this one haven’t been announced yet so if you guys purchase one, feel free to post the contents in the comment section below. Great post! I love the CT version, but it is just a little expensive.